It is important to continue to look after your dog’s coat when the weather turns cooler and his coat may get longer and shaggier for warmth. As professional pet groomers in Etobicoke we often hear people say that it is “too cold” to have their dog groomed. 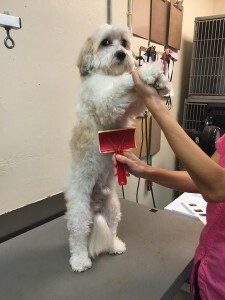 The truth is that while it is getting colder your dog still does need to be groomed as well as brushed and possibly your grooming routine needs to be changed to accommodate the colder temperatures. Brushing your dog’s coat is always beneficial for both you and your pet. Brushing helps to increase blood circulation and distribute oil. It also means less hair around the house and fewer uncomfortable hair matts on your dog. 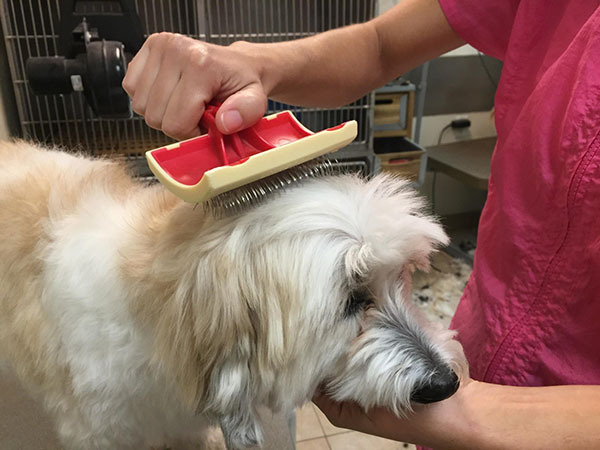 PRO TIP – Regular brushing helps stimulate oils in your dog’s skin which in turn helps to maintain a healthy coat. Brushing also helps fight winter dry skin which can be irritating for your pet. 1. 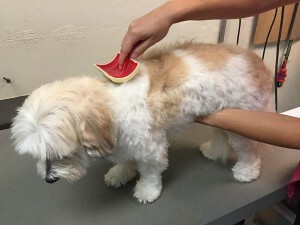 Start by brushing at the top of the head and brush downwards to the base of the neck. Remember to brush the middle and the sides. 2. Next brush the ears remembering to support them. 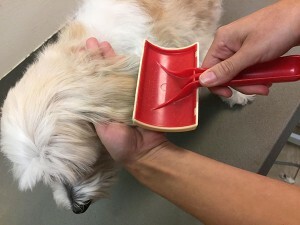 Keep one hand on the underneath of the ear while brushing the top. 3. Lift the head and gently brush the neck starting from the top down. Always remember that a dog’s skin is sensitive. Be careful not to scrape the skin with your brush. 4. 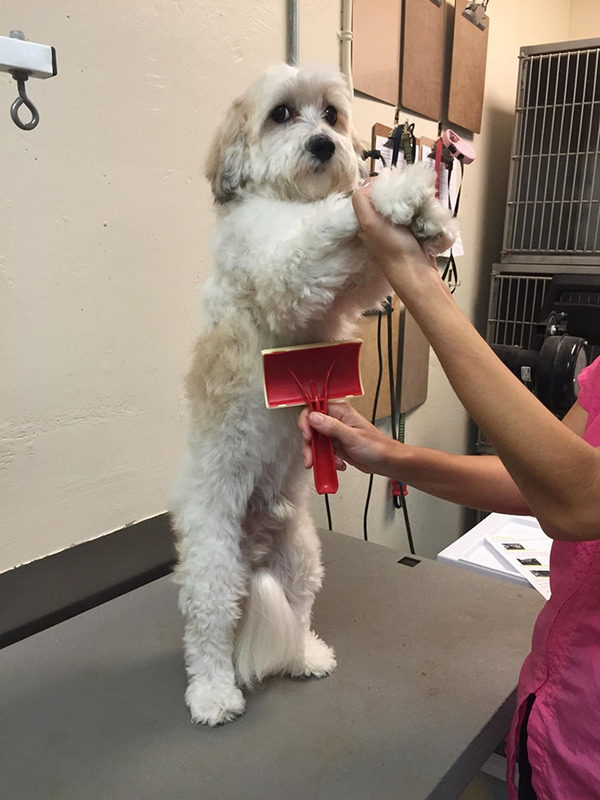 Lift each leg one at a time and gently brush all around. Don’t forget the hair on their paws ! 5. 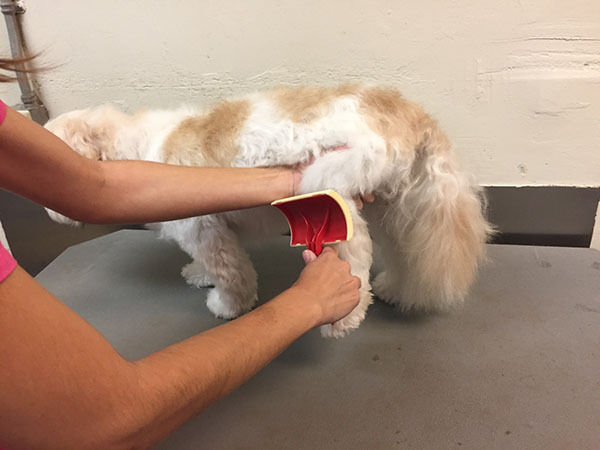 To brush the underside and belly you will need to lift your dog up by picking up both front legs. Brush starting from the top down. Remember this is a VERY sensitive area is so be gentle. 6. Next start from the back of neck and brush the entire body working your way down to the tail and down the side. Remember to always start from the top down when it comes to this area. 7. Starting from the top brush the backend (bum) area gently. This is also a very sensitive area. 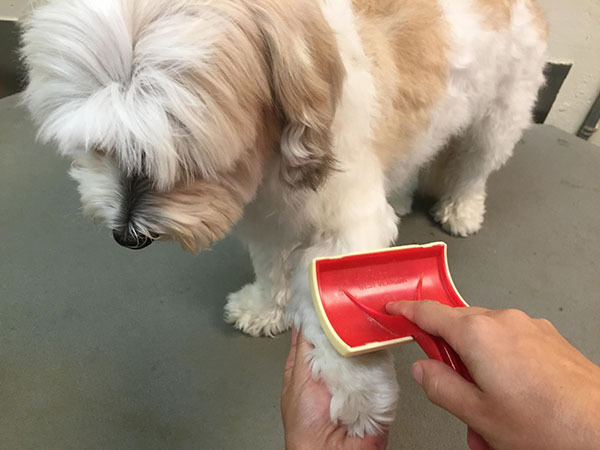 Work your way to your pets back legs, remembering to the brush the hair on their paws. 8. 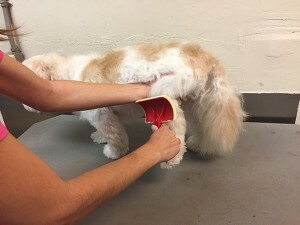 When brushing the tail hold it at the base and start brushing towards the tip. Remember to keep the tail supported. 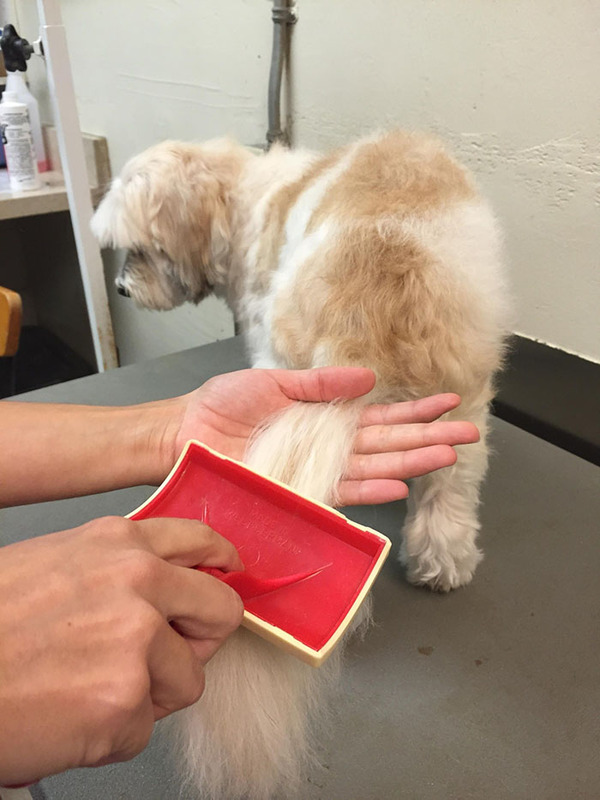 If your dog has a feathered tail, hold the tip and gently brush the tail downward to untangle it. 9. 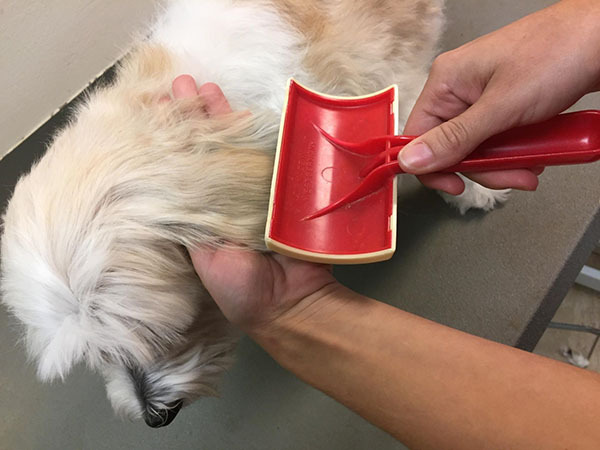 For finishing touches quickly go over your dog with a comb to get any tangles you might have missed. Check once again under the arms, behind the ears, the neck and chest, and viola your dog looks beautiful! 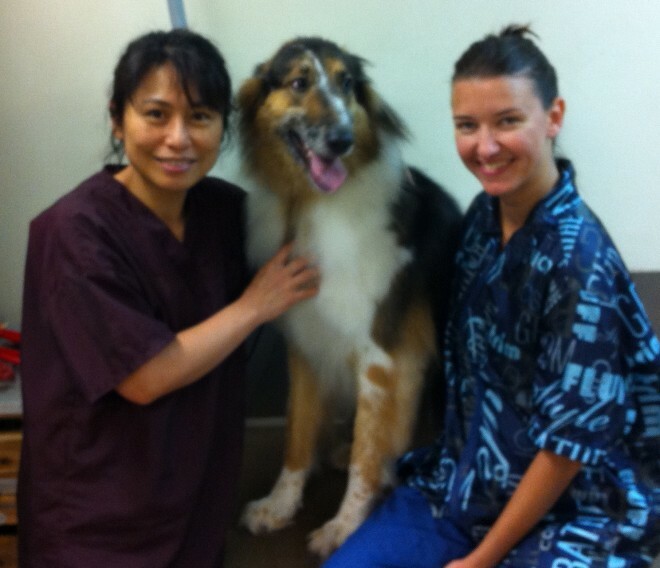 At Royal York Animal Hospital we hope that you have found this blog helpful. 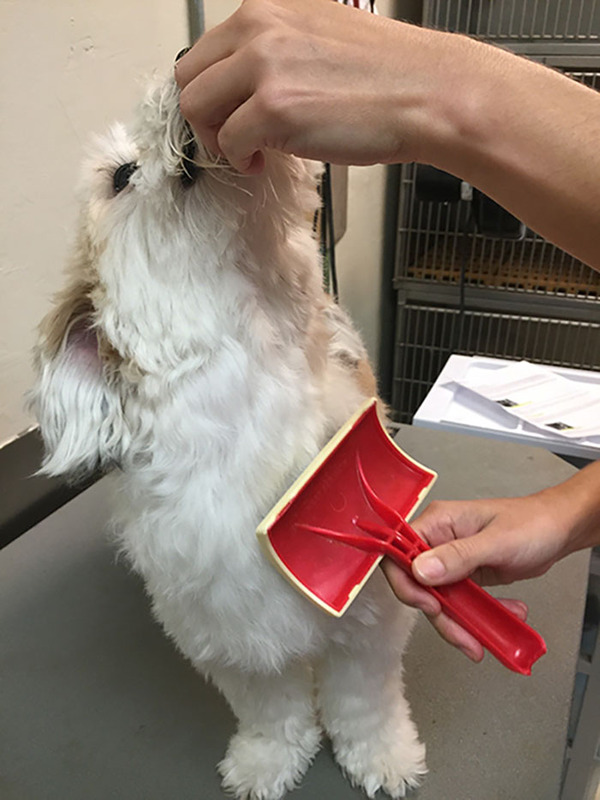 Don’t forget that we open for grooming seven days a week. We groom all breeds of dogs and cats, whether you are looking for a professional breed cut or a brush out and bath. We are also being available to answer any questions you may have.